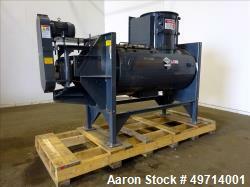 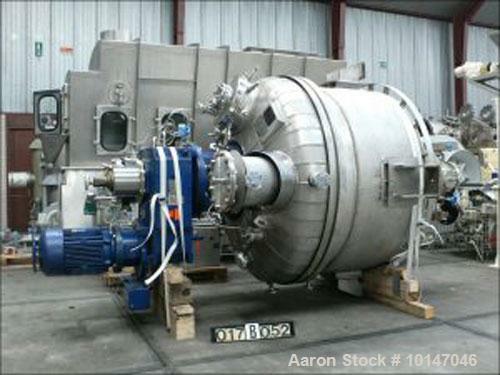 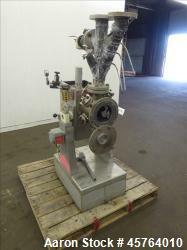 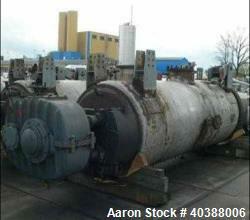 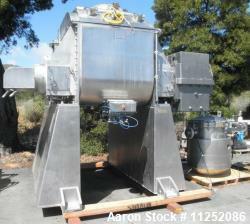 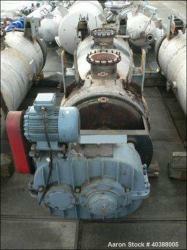 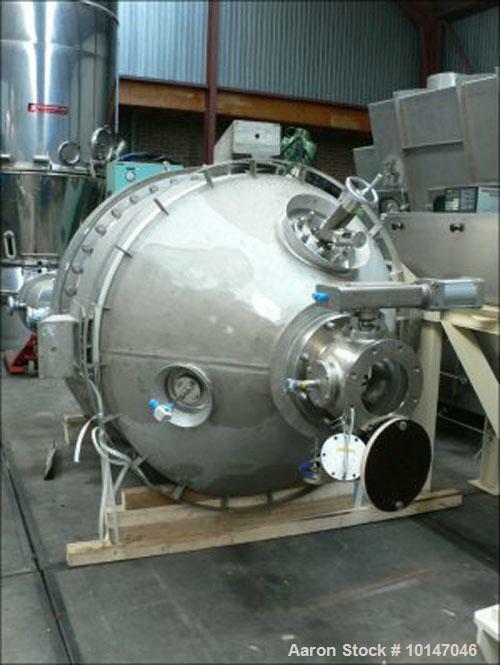 Used-Ekato Schopfheim VST-1600 Pharma Vertical Dryer, stainless steel 1.4404 with polished inside. 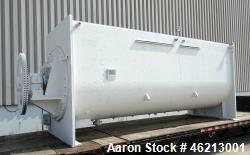 Ribbon mixing shaft with total capacity 83 cubic feet (2350 liters), useful capacity 59.1 cubic feet (1674 liters), largest cone diameter 58.4" (1484 mm), cone height 34.3" (870 mm), conical 24.8" (655 mm) bottom and 15.8" (400 mm) diameter inspection hatch. 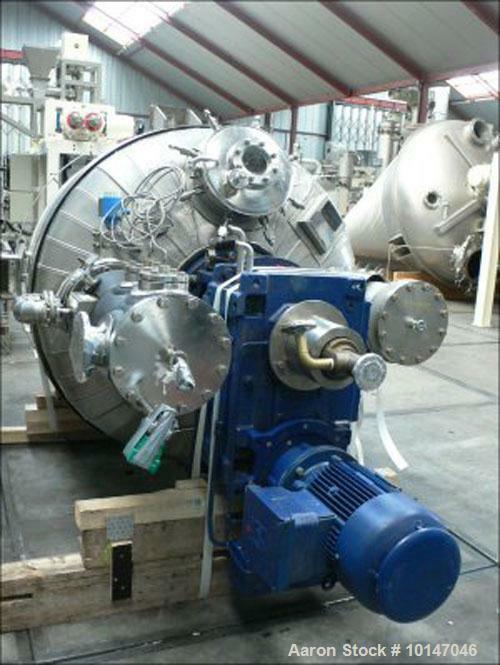 22 hp/16.5 kW motor, 400/690V, 50 hz. 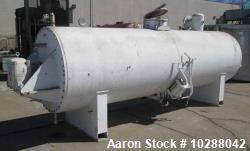 Vacuum with 36.3 psi (2.5 bar) working pressure, test pressure 113 psi (7.8 bar) with 26.4 + 21.1 gallon (110 + 80 liter) jacket. 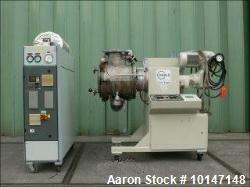 43.5 psi (3 bar) vacuum, test pressure 75.4 psi (5.2 bar). 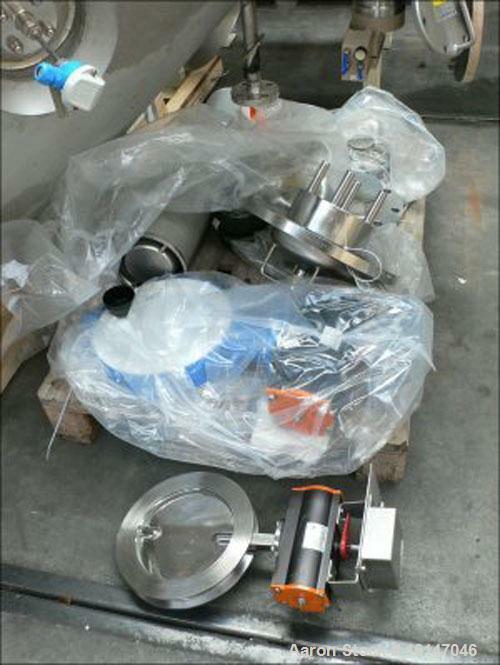 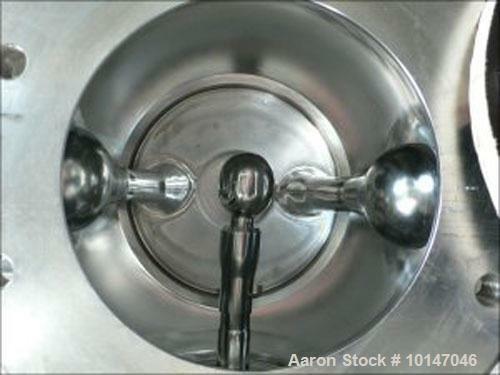 Max temperature 302 deg F (150 deg C), 7.9" (200 mm) bottom outlet. 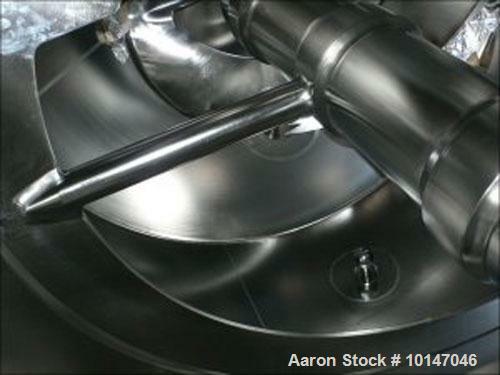 Floor space 7.3' x 7.3' (2200 x 2200 mm), heigh 13.1' (4000 mm).